The Lake Tahoe Nevada State Park Backcountry Patrol organization is recruiting for new patrollers to serve in the 2011 season. The volunteer patrollers offer a valuable service to all trail users as ambassadors to both the sport of mountain biking and the Tahoe area. Currently in its 10th year of operation, and recently incorporated as a nonprofit organization, the patrol is part of the International Mountain Bicycling Association’s National Mountain Bike Patrol program. The 20 or so active patrollers are responsible for approximately 2,000 contacts during the summer season. These are usually questions about the park history, trail recommendations or riding etiquette, but the patrollers are also ready to fix a flat tire, bandage a wound or assist with an emergency evacuation. The patrol operates primarily out of Lake Tahoe Nevada State Park on the East Shore, including the world famous Flume Trail. 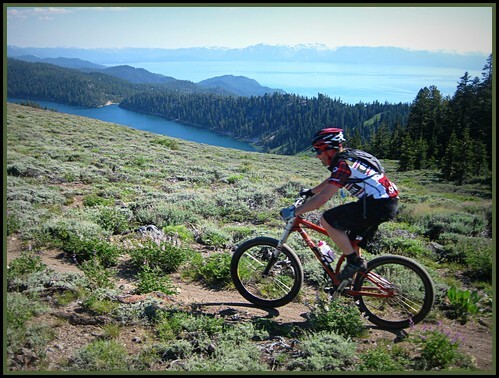 The patrol also partners with the Tahoe Rim Trail Association to cover other areas of the Tahoe Rim Trail around the lake. Training for new patrollers has been scheduled for orientation on April 30 and field training on June 18. There will also be First Aid/CPR training available for those that need it. The organization relies on donations, grants and special events such as the TRT Ultra Marathon and the Great Tahoe Flume Race for funding. For more information on becoming a patroller or supporting the patrol, please visit www.tahoebikepatrol.org or e-mail info@tahoebikepatrol.org.